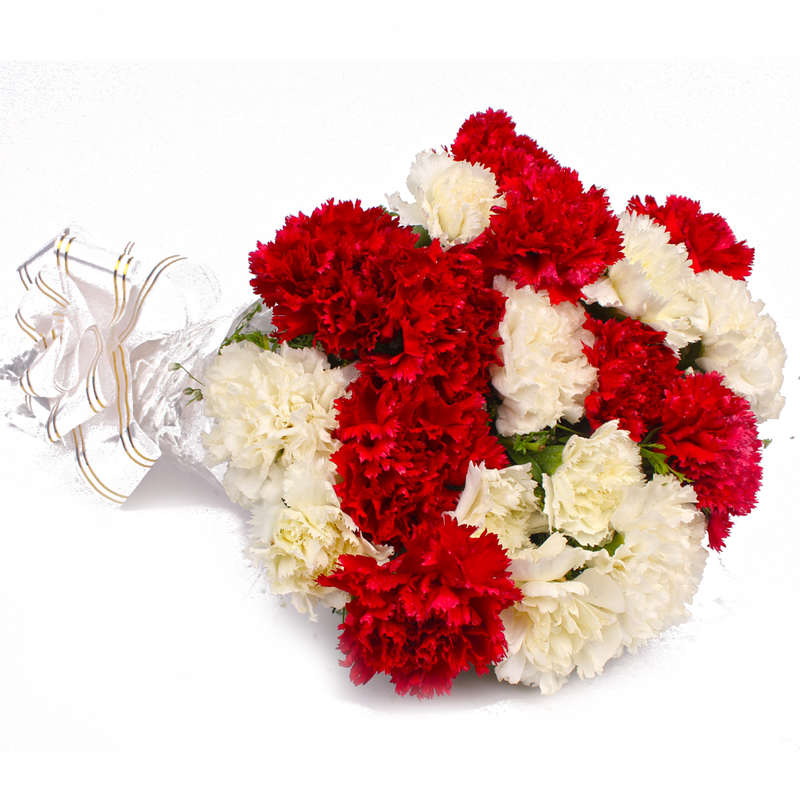 Product Consist : 20 Carnations in White and Red Color with green fillers in Cellophane Wrapping with Ribbon Bow on it. 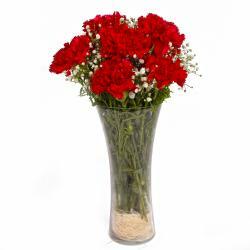 This bouquet of carnations will make for an attractive gift for a variety of special occasions such as Birthday, Anniversary, Get Well Soon, Lohri, Fathers Day. 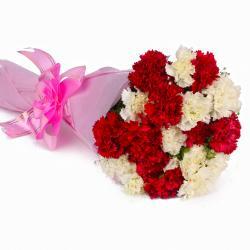 The appeal of this bouquet goes a few notches higher due to the matching ribbon bow that ties the bunch together. 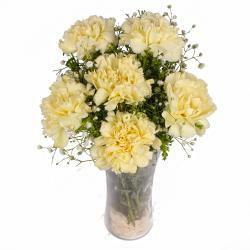 It will surely add an ounce of tenderness on the part of both the sender and the receiver. 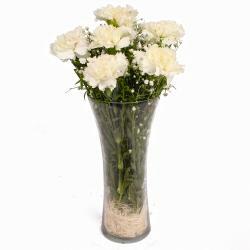 Product contains : 20 Carnations in White and Red Color with green fillers in Cellophane Wrapping with Ribbon Bow on it.